Being a professional athlete or a professional businessman, many patients suffer from leg injuries each year. 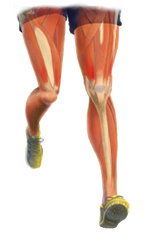 An injury to the leg can be extensive as it has many components to affect, such as the thigh, knee, ankle, or lower leg. A leg injury can occur with little as falling wrong, or slipping and pulling a muscle. Yet the pain can be long lasting and irritating. This day in age people tend to jump at the opportunity to pop a pill before trying to weigh out all of their healing options. It is easy enough to take a pain killer such as ibuprofen or acetaminophen (analgesics) to help with the pain, but that makes it just as easy to re-injure your leg. Taking pain pills doesn't help heal the injury, as it only helps mask the pain. Also, some of the most common analgesics are known to interfere with your body's natural blood clotting process and result in additional inflammation. For best results and satisfaction, ColdCure® technology treatment serves to actually reduce inflammation and control pain without adverse side effects. For many people time is money, and money is time. When a patient is immobile it can become draining and very tough to move on with everyday life. Most leg injury patients need to start a regular routine of BFST®(Blood Flow Stimulation Therapy®) to begin to significantly accelerate the healing process. If you need rapid recovery and complete healing, then you need BFST®. For injuries of the ligaments, hamstrings, and muscles, blood flow is the most critical element in a rapid recovery. 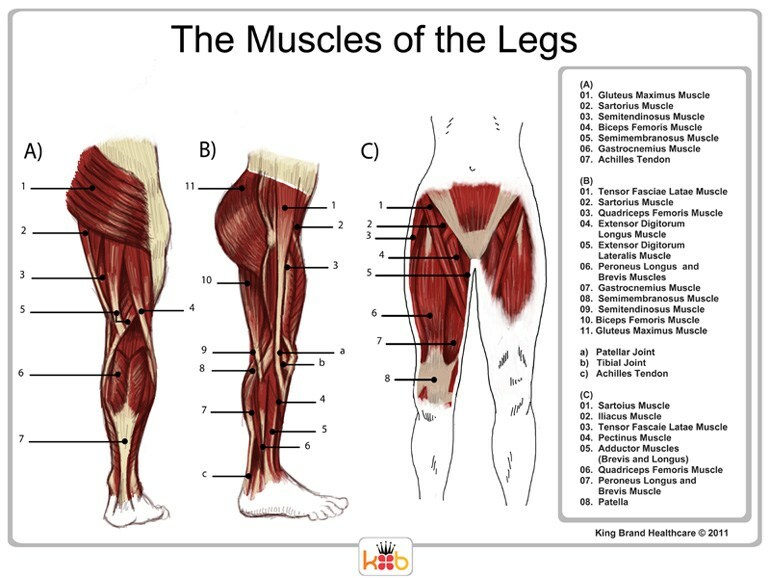 Unfortunately, an injured leg at rest often can cause restricted blood flow which in turn limits the body's ability to heal. Blood flow brings oxygen and nutrient rich blood to the areas which are required for the body to heal itself. With King Brand BFST® Leg therapy device, blood flow can be stimulated in the injured area while the patient is at rest. Improving blood flow, with no physical activity or risk of re-injury, patients can recover from their injuries at surprisingly rapid rates. Pain and swelling. We wouldn't even know that our injuries exist without having pain or swelling. They are the symptoms that drive patients to seek out medical attention. As a professional healthcare provider, we recognize that the pain isn't the problem and we only care about curing the ailment. Pain killers are the easiest solution for any pain, but we all know it isn't the best solution. We want our patients to think highly of us, and we also want them to live without pain through the healing process. Pain killers (NSAIDs/analgesics) such as acetaminophen, ibuprofen, and ASA are known anticoagulants - they can prevent blood from clotting. This group of medicines interfere with normal blood function that is crucial for the optimal healing process. We know this isn't the best solution for treating the pain, but narcotics and steroids are not desirable options either, especially for our regular patients who are not under professional medical supervision 100% of the day. Even injured professional athletes who are under regular medical supervision are kept away from drugs if possible. The best possible solution for pain and swelling control is clearly using ColdCure® technology. ColdCure® compression leg wraps are designed specifically for the treatment of the pain and swelling from soft tissue injuries of the leg. They are easy to use, safe, targeted and extremely effective. ColdCure® technology provides control of the swelling and pain without the negatives of the drugs. The patient gets the relief they demand and they heal as quickly as possible. The BFST®(Blood Flow Stimulation Therapy) Wrap is designed to promote blood flow in injured tissue below the dermal (fat and skin) layer. Utilizing our patented Energy Web®, specially controlled EMR energy envelops the affected body part and stimulates blood flow in the soft tissue deep beneath the skin. The resulting blood flow brings oxygen and nutrient rich blood to the injured area accelerating the healing process. The Energy Web® of the BFST® leg device is enclosed in a soft, comfortable neoprene wrap. The wrap shapes the energy web to mold around the needed area for treatment and covers the full circumference of your leg with a snug fit. The Velcro straps ensure the perfect amount of pressure desired by the patient, which creates a perfect fit and even distribution of energy over the entire injured area. After the treatment the wrap does not need to be removed. After treatment the straps can be further tightened to provide snug support and protection for the injured leg. The device disconnects at the wrap from the power supply and controller so that the user is free to move about the treatment clinic or home when not receiving treatment while still wearing the wrap for support and comfort. The device is incredibly comfortable to wear. 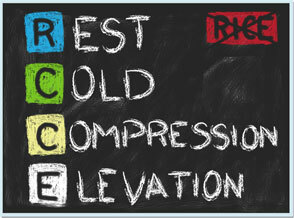 Cold compression wraps are standard medical products for the treatment of pain and inflammation. Cold and compression applied to an injured joint immediately reduces the risk of further damage from excessive swelling. This swelling can be in the muscles, ligaments, tendons, or tendon sheaths within the leg. Doctors and Therapists agree that controlling swelling is a fundamental part of reducing long term permanent damage as a result of a soft tissue injury. The King Brand ColdCure® Leg Wrap is a medical grade cold compression wrap designed for use in hospitals and injury therapy clinics (Home use is becoming a lot more common). The ColdCure® wrap exceeds all government and health agency regulatory requirements for cold therapy specifically for use in soft tissue injuries. Like the BFST® Wraps, ColdCure® Leg wraps are enclosed in soft, comfortable neoprene wraps. The gel pack is specifically designed for the shape of the leg. We do not use one common gel pack in all our wraps - the leg wrap is our most versatile wrap we produce. Because the leg is made up of a lot of difference shapes, we have constructed our wrap to evenly distribute the gel in our packs no matter which region of the leg you are treating. No other wrap in the world has specifically designed cold packs for each and every part of the body. The wrap molds the cold pack around the entire leg to ensure that there is an even distribution of cooling power over the entire injured area. This product has in every way been designed to be 100% a leg treatment device. The wraps use Rigid Gel® technology so that the gel does not flow away from the injured area when pressure is applied. The gel stays in place even under pressure. Yet it is still soft and molds to the body. ColdCure® wraps are unique and of a higher quality and performance than any other wrap available. Nothing else comes even close. Again, like the BFST® wrap, the ColdCure® wrap is opened and closed using attached Velcro straps that guarantee a perfect fit. The wrap and unwrap design allows for easily applying it around a tender, injured, leg without having to slip into or out of a tube shaped device. Even with their superior design and performance these devices are low enough priced that they can be used by patients for in-home self-treatment which also improves treatment results and patient satisfaction. King Brand soft tissue rehabilitation medical products are the #1 choice by top Athletic Therapists and Medical Practitioners world-wide. We provide guaranteed results and customer satisfaction. Like all King Brand products, there simply isn't a better performing option.